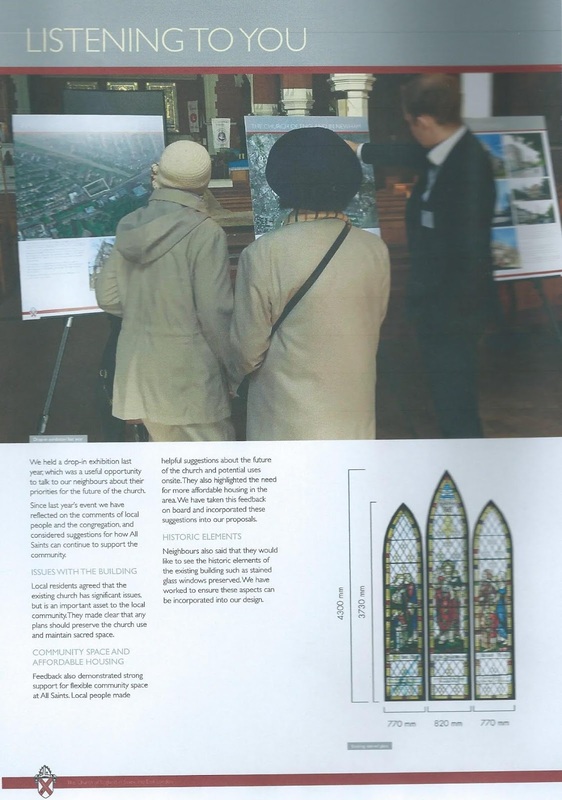 As we concluded the second part of our history of the Church of England in Forest Gate, the Brentwood Diocese undertook the second of three consultations on the fate of All Saints church. This post reproduces the information boards on display at the event, and encourages readers to take advantage of the feedback process the church and potential developers are operating (click on the images to enlarge). See the end of this post for details. All Saints was built in the 1880's, as part of the explosion of church building highlighted in the last post on this blog - initially as an iron church, in 1880 and finally the present building in 1886. As with other local churches, All Saints has seen a decline in congregations since its heyday. In the 1970's its accompanying hall and vicarage were demolished, to be replaced by the housing now surround the church. The church itself is no longer fit-for-purpose for its congregation. It is too big, the floor space is inflexible, and cannot accommodate the range of activities the church leaders would like. Its fuel bills are huge and rising repairs and maintenance costs make it a completely uneconomic building. 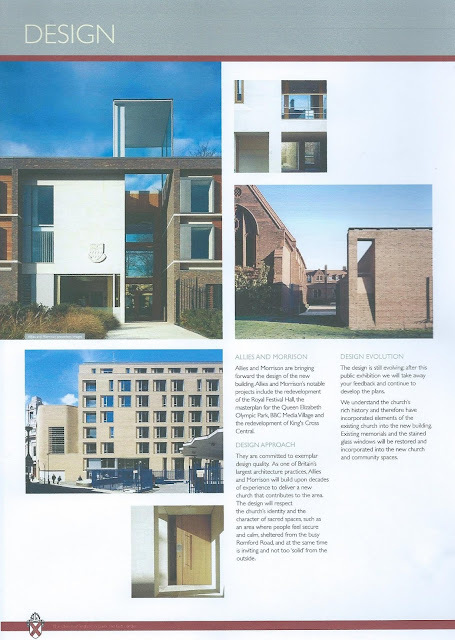 The local congregation, rather like that of Woodgrange Methodist church (see here), would like to demolish the church and replace it with a more modern building and around 30 flats. 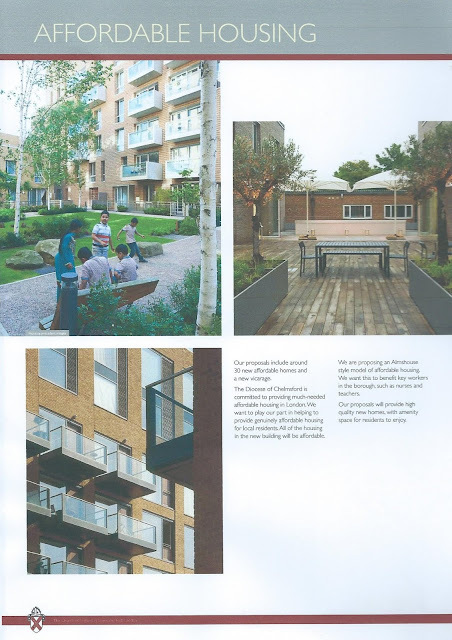 The proposal is that all of the flats should be for local "key workers" (teachers, nurses, police etc), be managed by a housing association, with nomination rights in the hands of Newham Council. The consultation is the second of three that will be held about the development. The church is in discussion with the Council's planners over the possibilities the site offers. 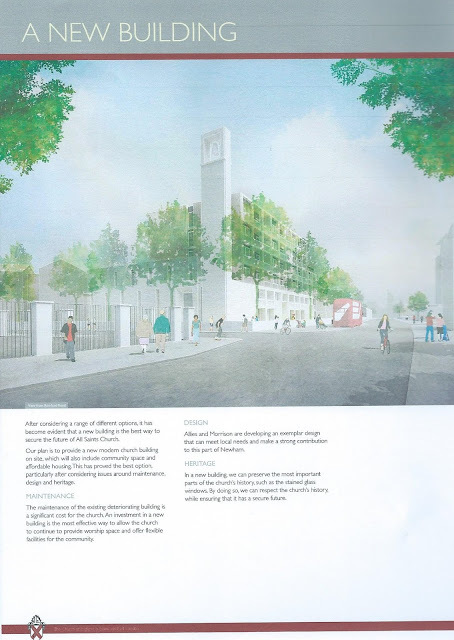 Once these are firmed up into more concrete proposals, the third and final stage of the consultation process will be held - next year. The hope is that with the maximum goodwill and co-operation, the building process could be completed within three years. 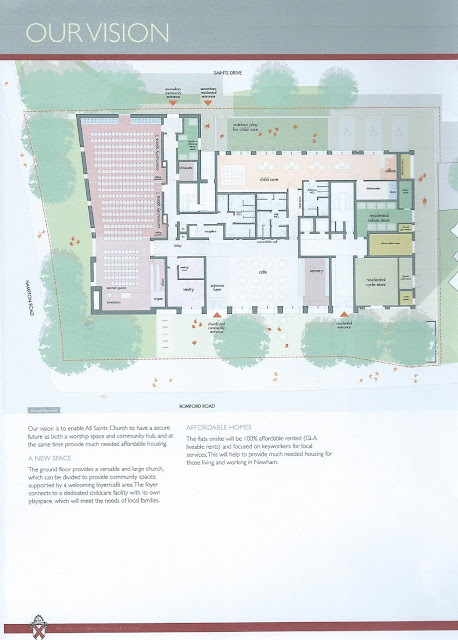 The congregation want a modern fit-for-purpose building for their various activities. The present church, however, is host to a number of important historic and artistic artifacts, that the church is keen to preserve. These include the large, dominating, triptych windows that feature in some of the illustrations, below. This was created by Paul Woodroffe, a prominent Arts and Crafts movement ecclesiastical window designer, with works in St John's cathedral, New York. There a are a number of other, less artistically significant side stained glass widows, which have a local historic importance, being memorials to significant parishioners In addition to the familiar WW1 war memorial plaque, there are two much rarer stone plaques listing all the members of the parish who fought in WW1. The church also features some interesting and quite rare examples of Arts and Crafts movement ceramic tiles. The current congregation of the church, quite frankly, has little interest in these features, but the Diocese is anxious to save and preserve them in whichever way seems most appropriate. They have officers and contractors dedicated to the preservation of these items, and are sometimes able to lever external money in order to help with their preservation. 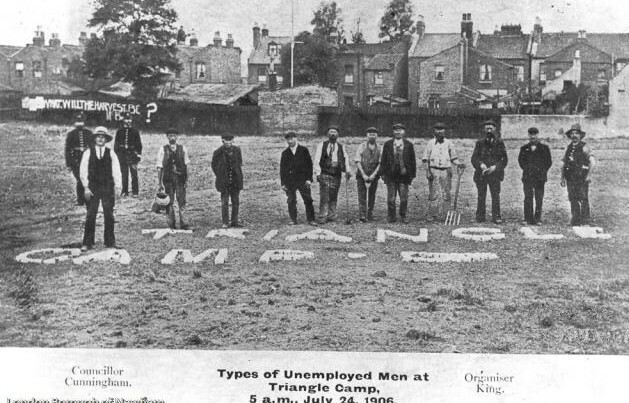 They have committed to work with a small group of local social and art historians to determine what, ideally, should be saved and where and how it should be preserved. 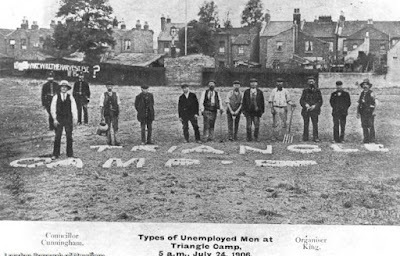 If you have a genuine interest in helping with this endeavour, please contact this blog's administrator at: info@E7-NowAndThen.org, and we will ensure that you are consulted in the process. 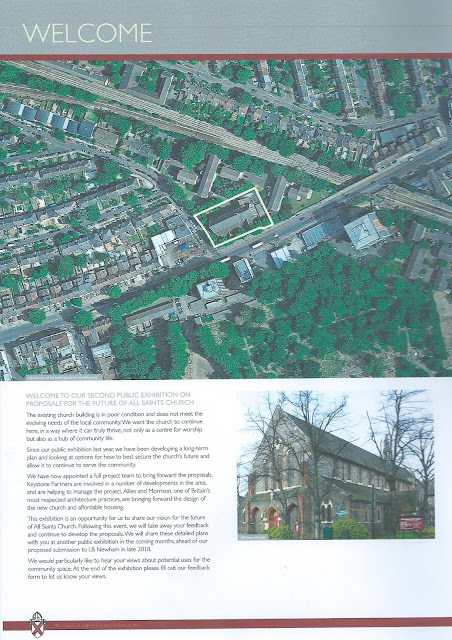 This is the second of a two part article on the Church of England in Forest Gate. 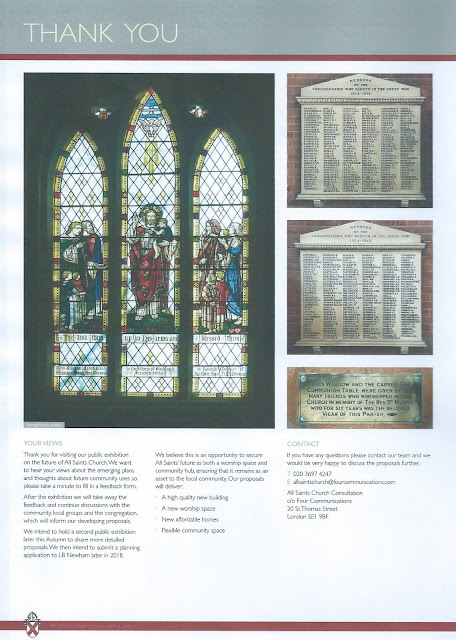 The first, immediately above, traces the story from the establishment of Emmanuel church in 1852 until the 1880's when church building expanded rapidly in the area. Rapid population expansion, from the 1880's lead to the building of three "daughter" churches to Emmanuel in Forest Gate: St James;' in 1882, St Saviour's, in 1884 and All Saints in 1886 - although All Saints had started life as an "iron church" on the site - donated by the local MP - six years earlier. 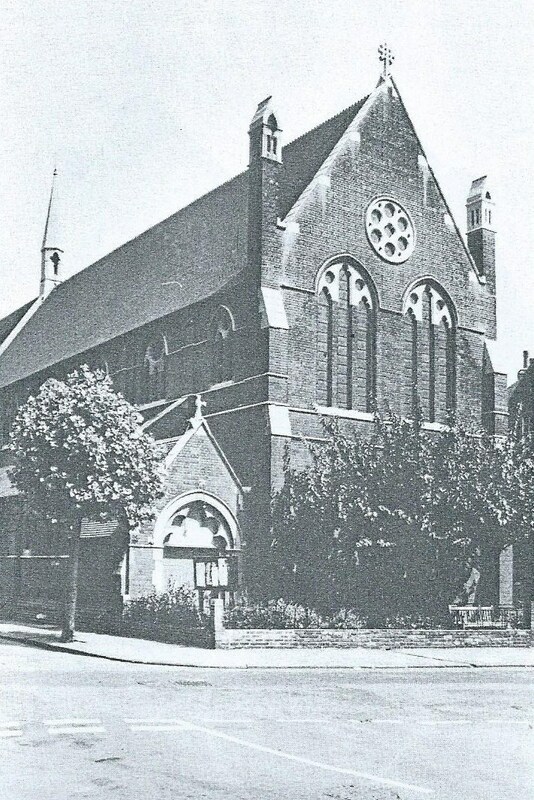 A fourth - St Mark's - began life in a cattle shed, now 65-67 Tylney Road, before becoming an established church building, in its own right, in 1894. 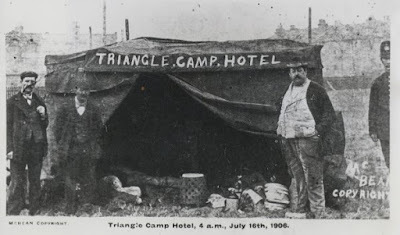 These were days of a religious boom that scarcely seems conceivable today. The Congregationalist church (now the Azhar Academy) on Romford Road was completed in 1880 and its Sebert Road counterpart, later that decade. 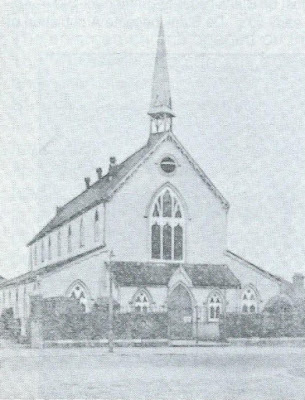 Woodgrange Baptist church, on Romford Road was built in 1882 and the original Methodist church on Woodgrange Road, the same year. St Antony's of Padua Catholic church was completed, in Upton in 1891. 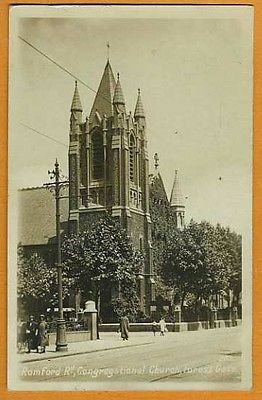 Further extensions were built to Emmanuel, itself - increasing its capacity to a little over 800 - and finished in 1891. 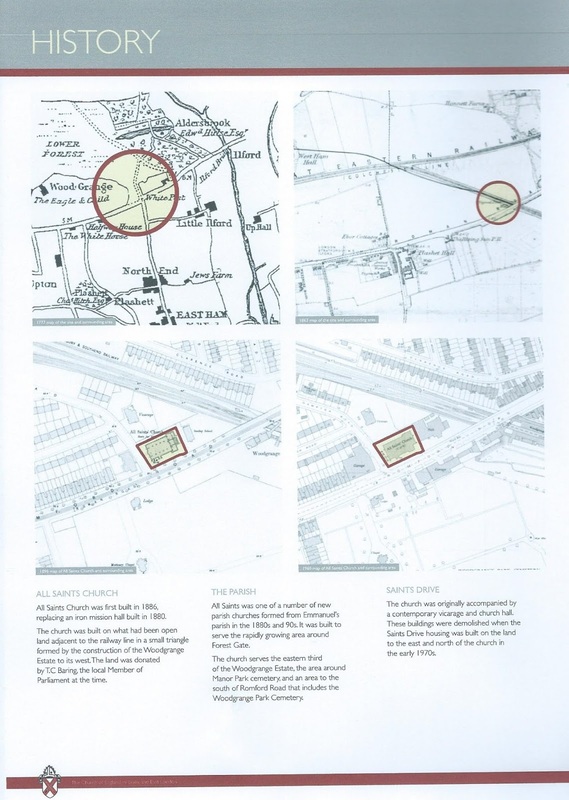 At around this time the "high church"/"low church" tensions previously referred to came to a head and wrought havoc and division within the parish. 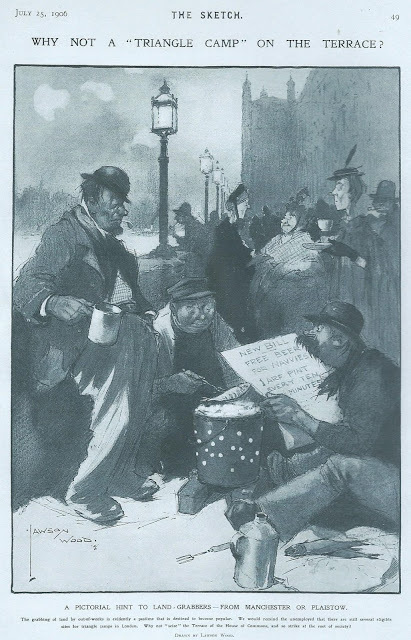 The "low church" attacks on the high church incumbents of Emmanuel were lead by M GG Poupard - supported by the Sunday school teachers and pupils. They left Emmanuel and built an "iron church" (iron framed, with corrugated iron walls and roof), Christ Church, the Free Church of England in Earlham Grove (see photo). It cost £4,000 to build and seated 450 people. Another dissenter, Mr Haslet built another rival church, Ridley Hall, in Upton Lane, see photo - which still exists as the Ridley Christian Centre. The Earlham Grove breakaway tried, but failed, to get Church of England recognition: instead it was accused of having committed a schism. 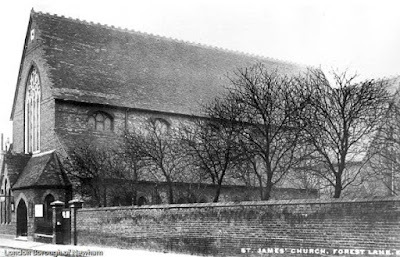 The breakaway fizzled out and in 1911 the iron church was bought by the parish of St James' in Southampton for £225 - and moved, girder by girder, to be rechristened St John's, where it remained, until demolished in 1950. Meanwhile - back in Forest Gate - the population continued to expand and in 1892 work began on the construction of St Peter's Upton Cross, in the grounds of Upton House (see photo), which had been bought by the Diocese of St Albans in 1885. 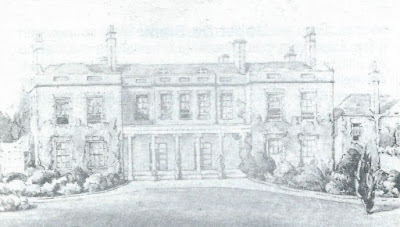 Upton House, itself, the one time home of Lord Lister, (see photo below), became the vicarage and parish rooms of St Peter's. And still demand for church space in Forest Gate grew. Cross, the church, itself, was built in its grounds. In 1906 and iron Mission Hall, belonging to St Peter's was built on the junction of Plashet Road and Gwendoline Avenue, for £360, and remained (see photo), until bombed during WW2. 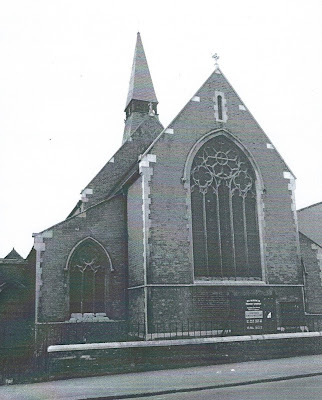 The last church to be built in the Emmanuel family was St Edmunds, on Katherine Road - which became a parish in its own right in 1901. 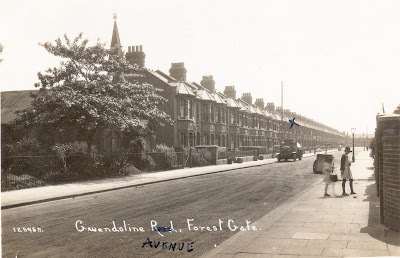 This was probably the high point of Church of England significance in Forest Gate's history. 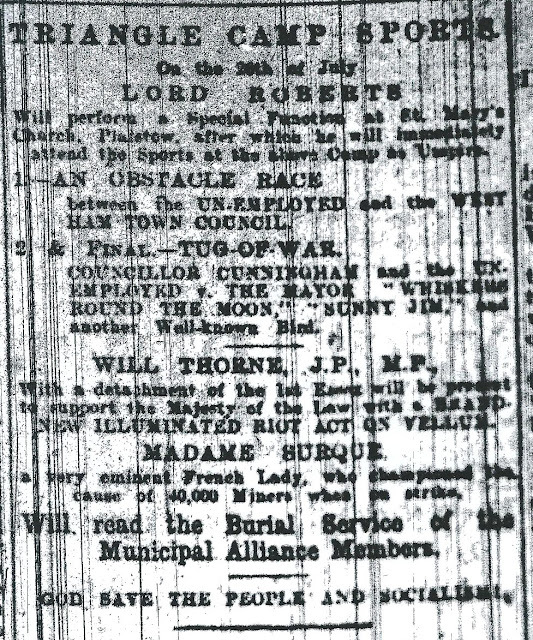 There are scant surviving records for the Emmanuel church for the early decades of the twentieth century, other than the fact that electricity was installed within it, at a cost of about £250, in 1929. The 1930's saw another outbreak of "high church"/"low church" disputes and by the middle of the decade the church's congregation had declined to about 170 - considerably fewer than the 800+ attendees of the 1890's. 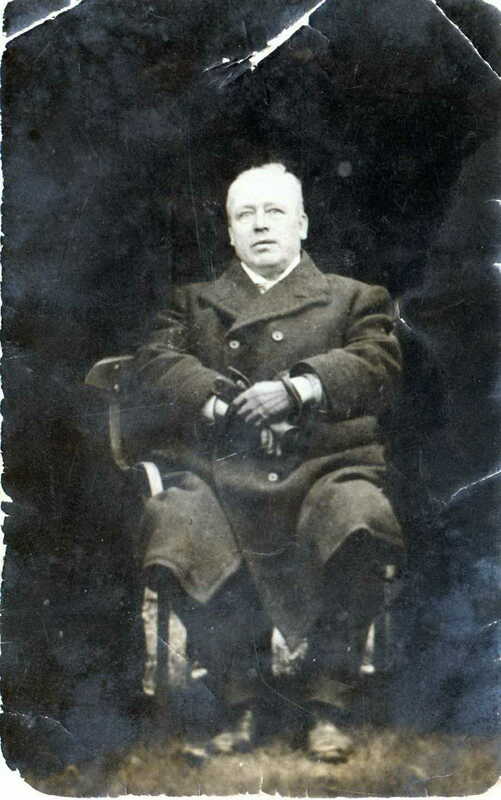 Joost (pronounced Yoast)de Blank was Emmanuel's shortest-serving, but probably most prominent, vicar. He was only there from 1937 - 1940. Born in Holland, he moved to England aged six months. After university, at Cambridge, he had a couple of minor ecclesiastical appointments, before moving to Emmanuel. He was a dynamic priest. For example, he hired the near-by Odeon Cinema (now the Idara Minhaj-ul-Quran mosque) on Romford Road, for recruiting purposes. 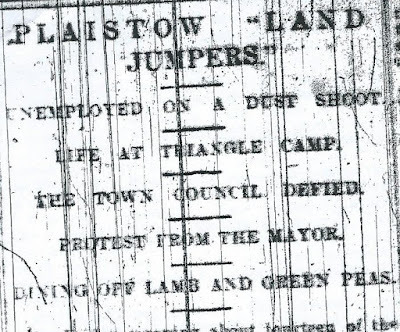 He soon attracted national, as well as local attention. Originally a pacifist, he changed his opinions and joined the war effort as an enthusiastic army Chaplin/captain, in 1940. He was posted to Egypt the following year, which effectively ended his incumbency at Emmanuel. de Blank returned to London at the end of WW2 and was appointed Bishop of Stepney in 1952. Five year's alter he became Archbishop of Cape Town, where he became a leading Anti-Apartheid campaigner. Emmanuel, itself, was bombed during WW2 - but did not suffer the destruction of the near-by Princess Alice, Queen's cinema or Woodgrange Methodist church. 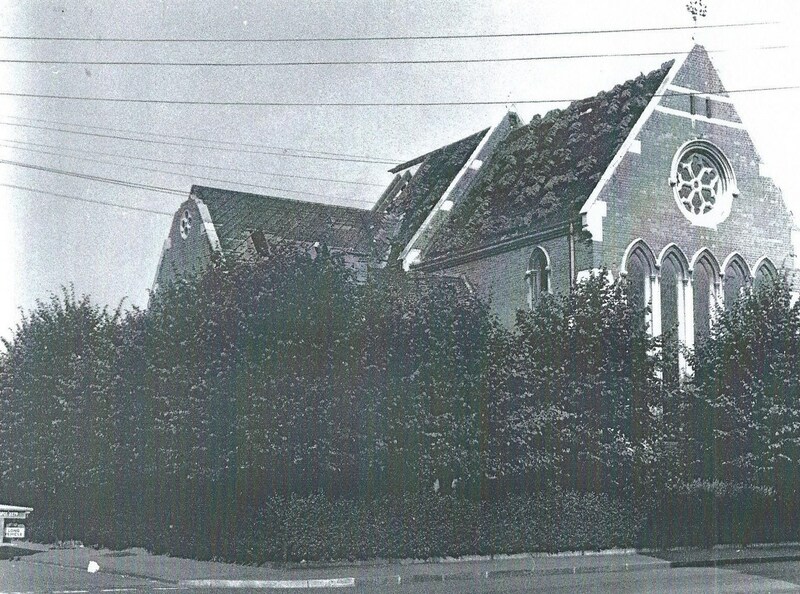 Its roof was damaged, windows blown out and the spire lost its then-famous striped tiles. Congregations dropped to around 100. 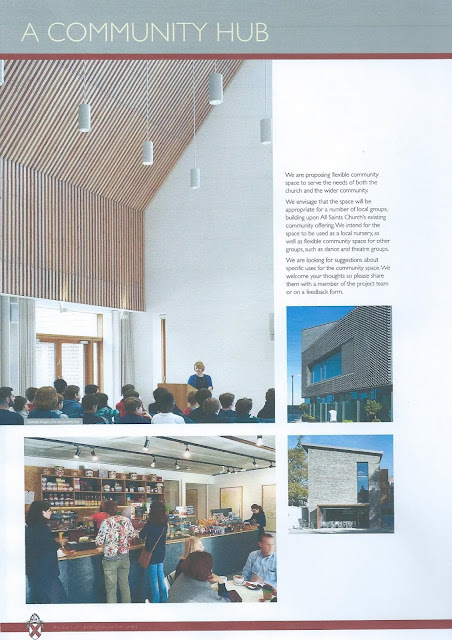 The church shored up its ailing finances by letting out its Institute - opposite - to the emerging local authority Youth Service. 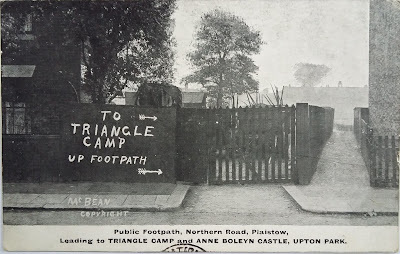 Post war activity focused on physical reconstruction and building its own youth groups. Central heating was installed at Emmanuel in 1949. The old vicarage in Earlham Grove was in bad repair and sold in 1950 for £2,600. 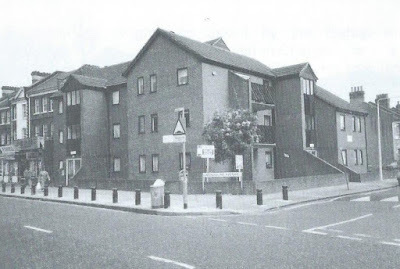 A replacement, 2b Margery Park Road (see below), was purchased for £100 more. 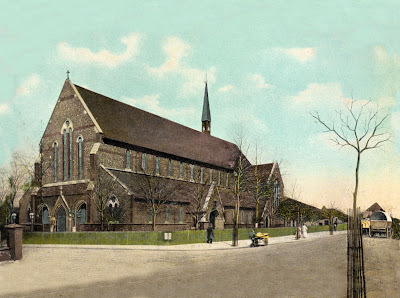 A declining local population and congregation meant contraction and changes for the Church of England in Forest Gate. 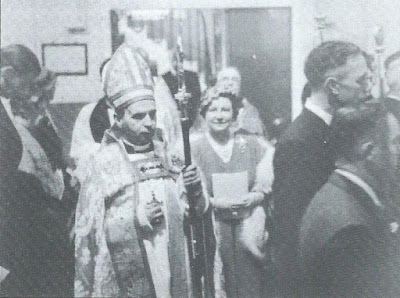 In 1962 the parishes of Emmanuel and St Peter's (see above) were merged. 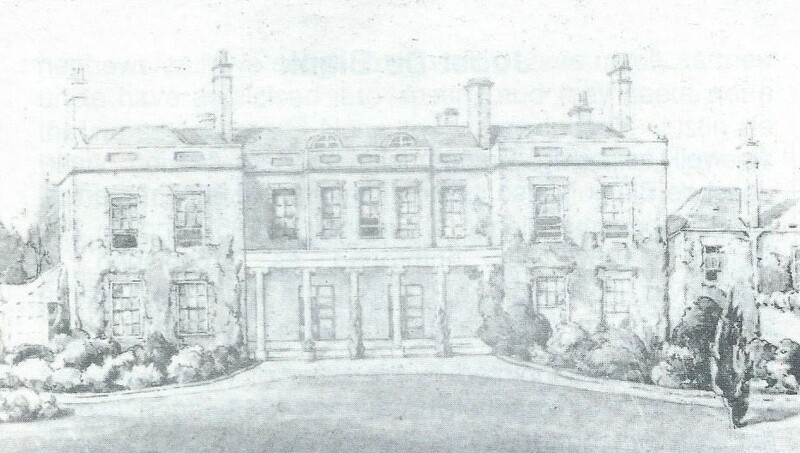 The first physical casualty was the splendid vicarage of St Peter's. 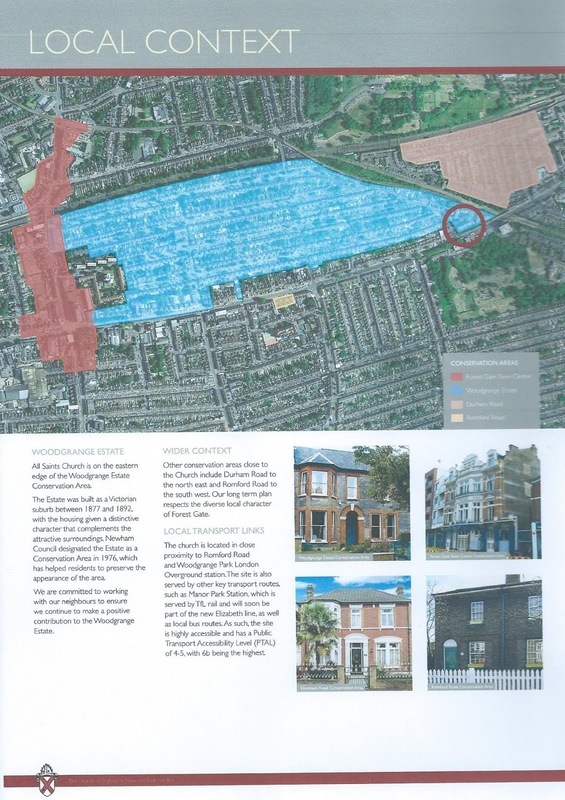 The Archdeacon of West Ham challenged a preservation order on the building and the site was sold for £17,000. It was demolished and is now occupied by Joseph Lister Court (see below). 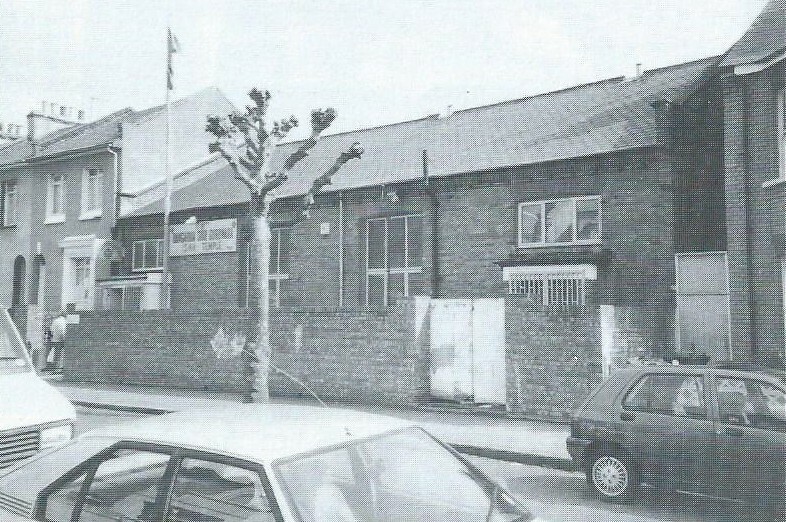 St Peter's Hall, in Neville Road was next to go. It was sold for £6,750 in 1971 to the local Sikh community, and is currently the Ramgharia Gurdwara. Next - St Peter's, itself. 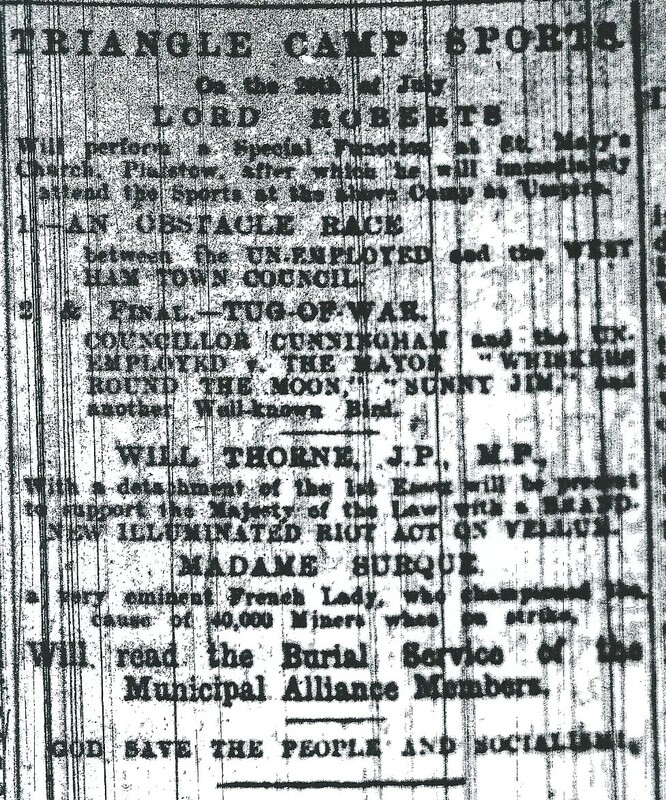 This was demolished in 1972 and the site sold for £15,000. 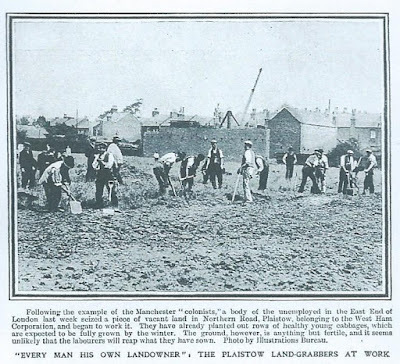 The intention was to rebuild it on the site of the old Gwendoline Avenue Mission hut (see above) - but money was too short. 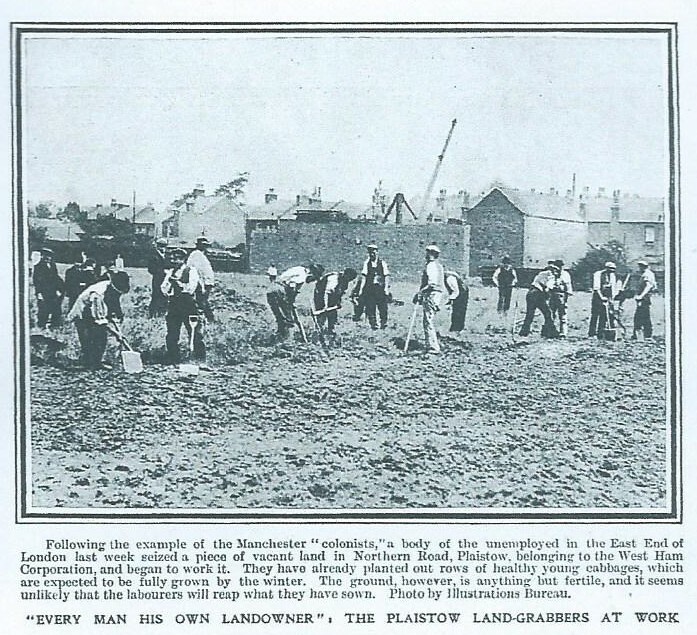 That land, too was sold - in 1980 - for £35,000. St Peter's was merged with Emmanuel and the combined congregation had slumped to a mere 50, by 1982. One response by the local clergy was greater ecumenicalism - with more joint ventures launched between Emmanuel and the nearby Baptist and (rebuilt) Methodist churches. There were discussions of the also declining St James' church merging with Emmanuel, but in the event, it merged with St John's in Stratford. 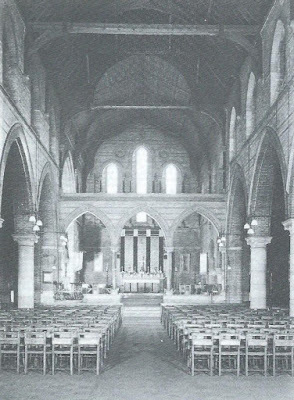 The interior of Emmanuel church was reshaped in 1980, to take account of the declining congregation, and changing church lay-out fashion - at a cost of £83,500. These changes made the Institute - opposite - redundant and it was sold to Wag Bennett as a gym in 1982 for £60,000 (see here for details of the use he made of it). 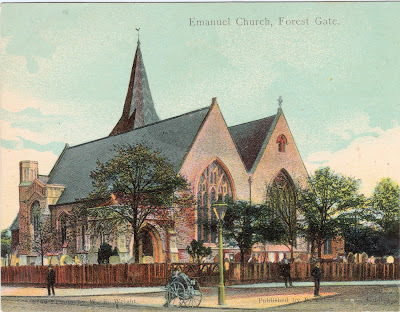 Further consolidation continued in 1989, with the establishment of the Forest Gate ministry - a closer grouping of the remaining local Forest Gate churches - Emmanuel, St Mark's, All Saints and St Edmunds. The church yard and graves were re-landscaped in 1991. The church was given Grade 11 listed building status by English Heritage in 1984. 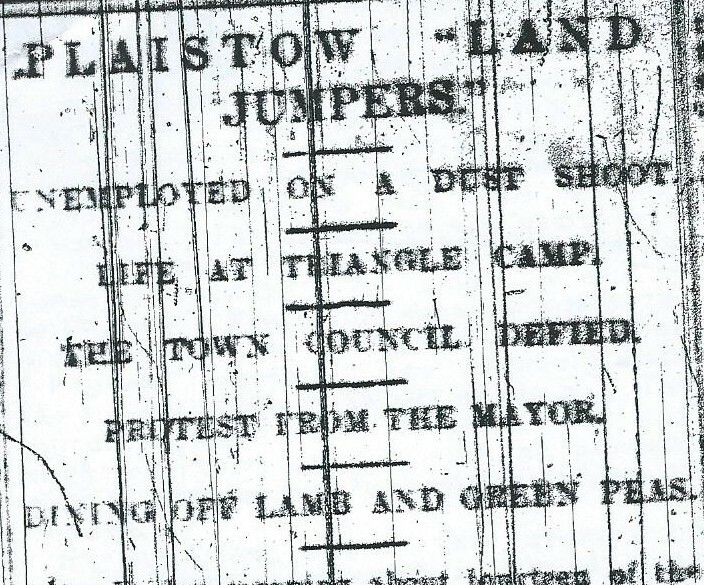 All in all, a fairly spectacular rise and fall in Forest Gate of an institution that was once the backbone of English civic society. The church has moved on to serve the community in different ways this century. It hosts Faithful Friends - a forum for understanding other faiths - not aimed at conversion. A breakfast club for homeless people is hosted and the church sponsors a group supporting people with mental; health issues. 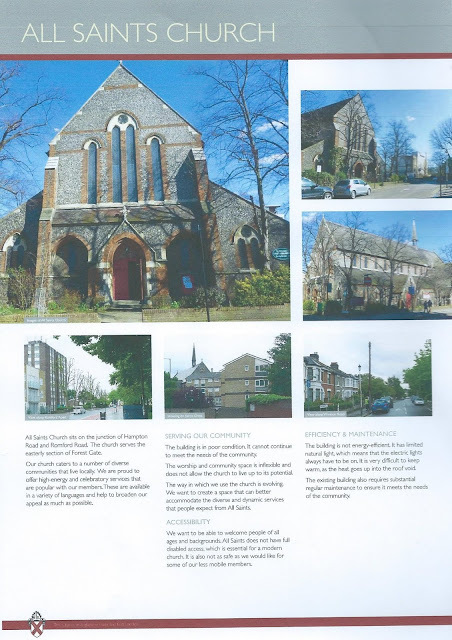 Footnote: This article is almost wholly based on a now out of print booklet That big church on the corner - a history of Emmanuel church, Forest Gate, by Andrew Wilson (then assistant curate, now rector of St John of Jerusalem church, Hackney), 1995, to whom we are most grateful.